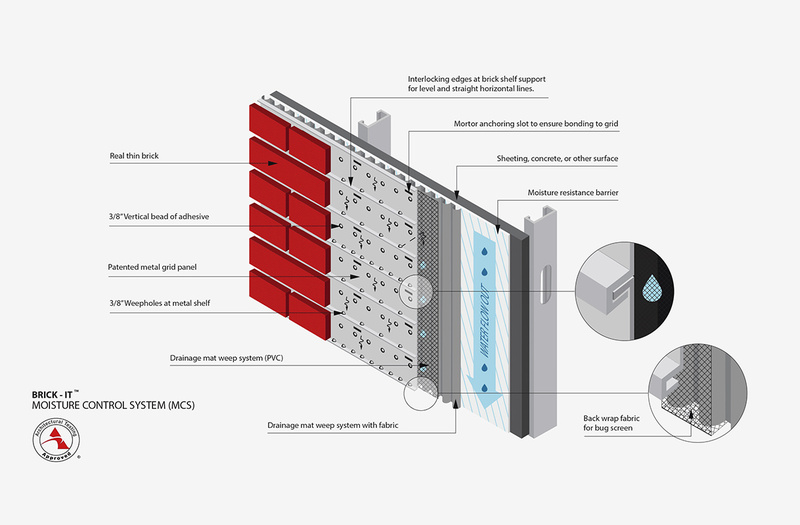 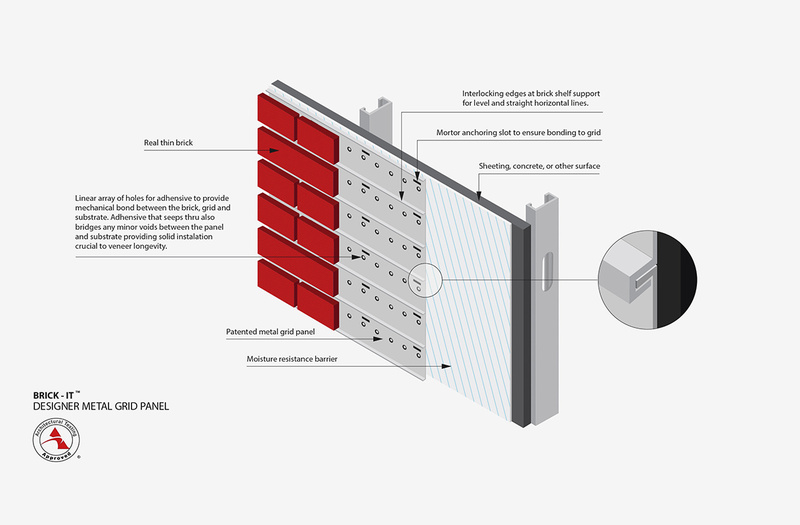 Brick It, the new kids on an old block, are the producers of a premiere patented thin brick wall installation system. 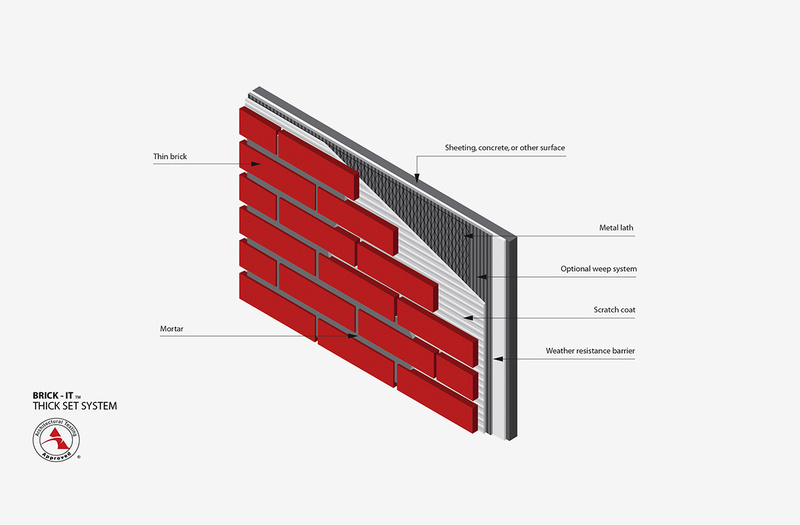 Their innovative product allows clients to incorporate beautifully rugged brickwork aesthetics – without shelling out cash for actual, tedious brickwork. 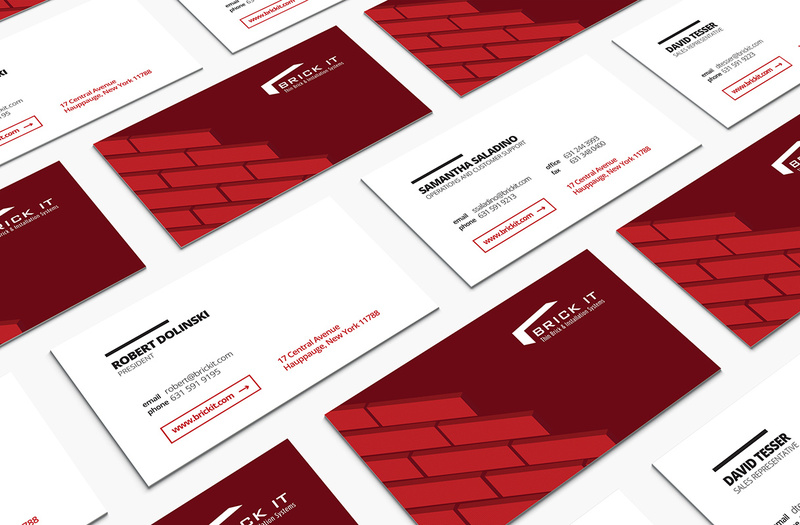 Taktic Studio partnered up with Brick It to craft a clean, simple visual brand strategy that would immediately appeal to the high creative standards of designers and architects. 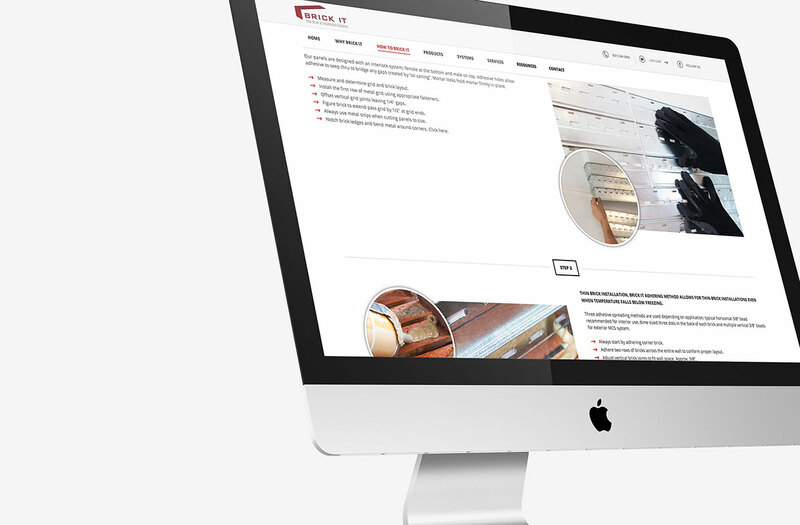 Alongside a fresh new logo and brand personality, we developed an eye-catching website that featured a new easy-to-navigate UX. 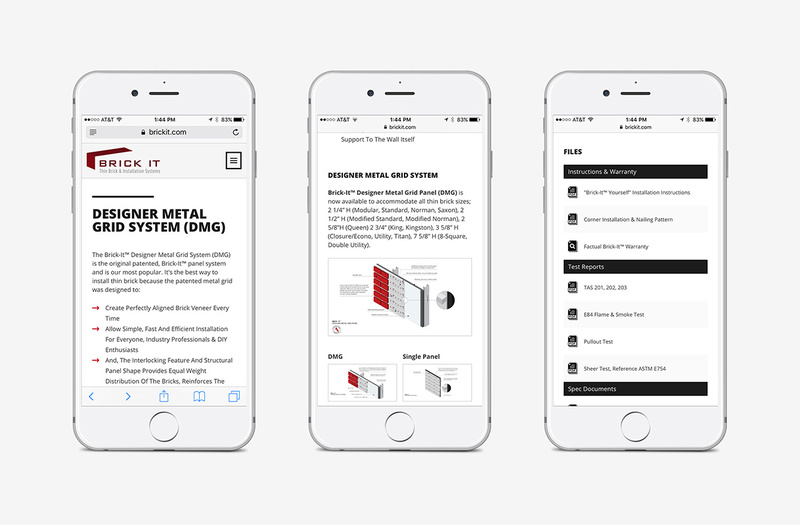 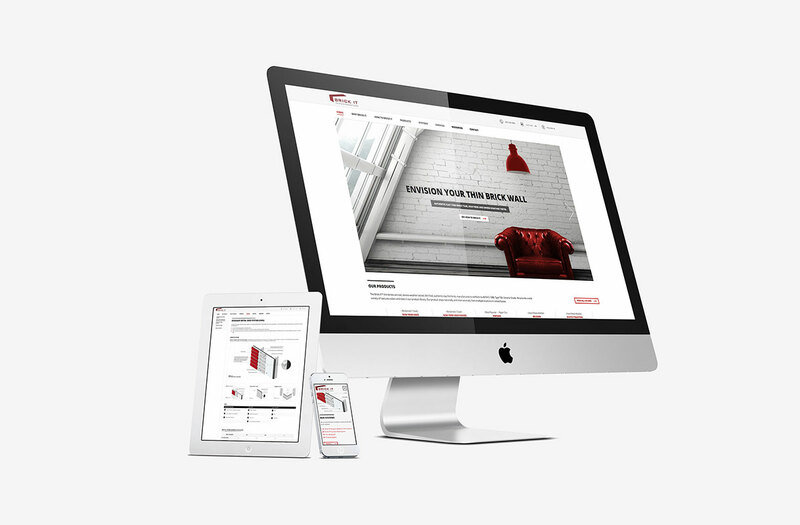 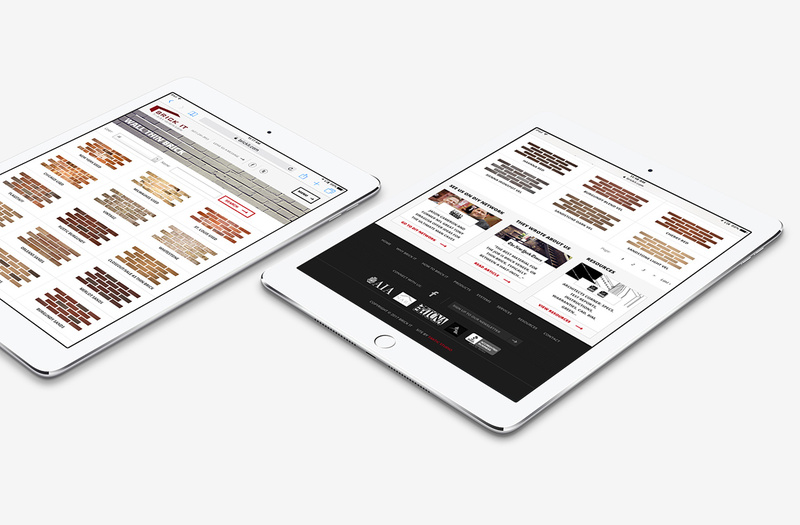 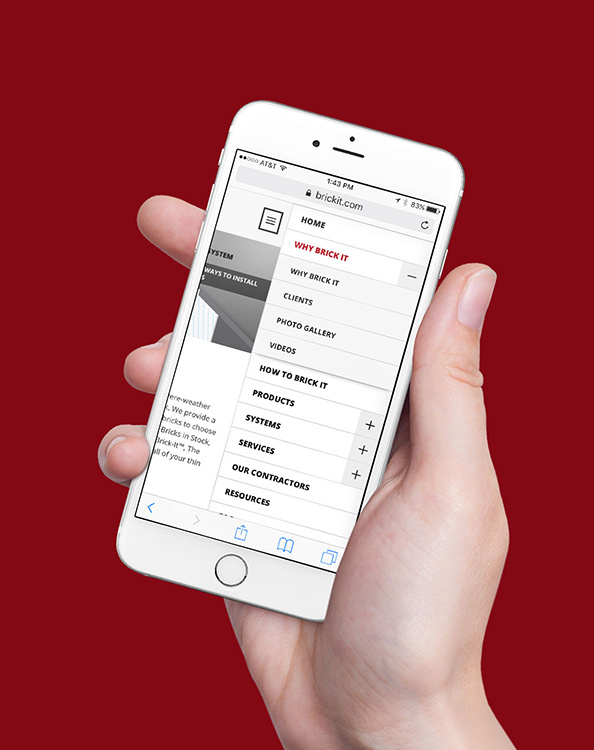 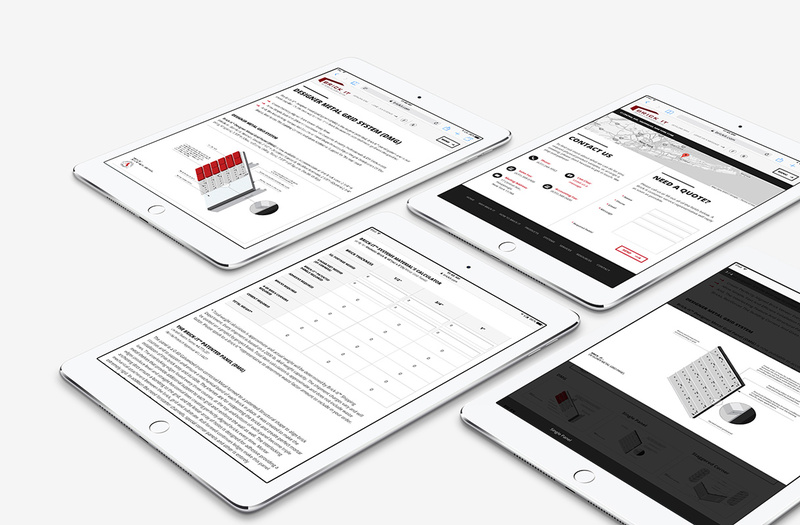 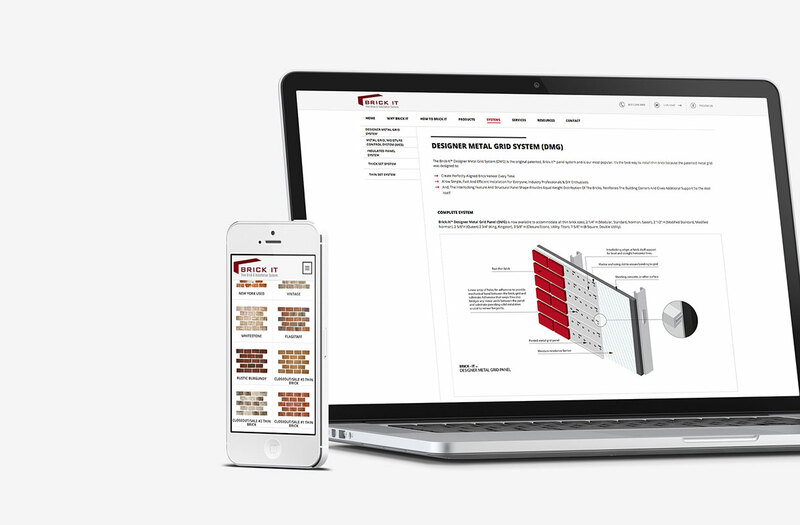 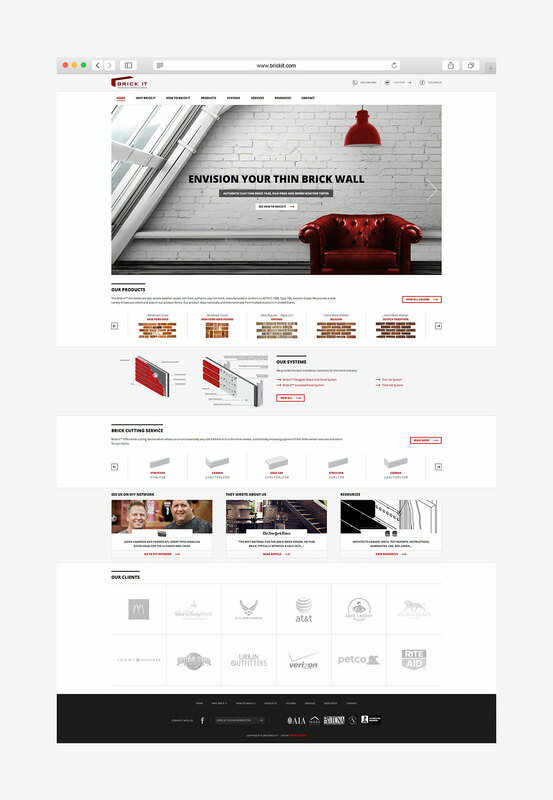 With numerous products and systems, it was essential for Brick It’s website to be informative - but not overwhelming. 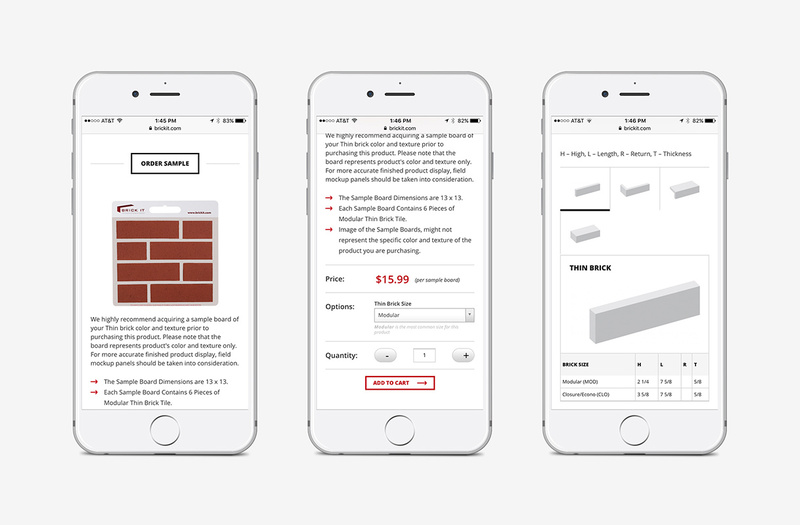 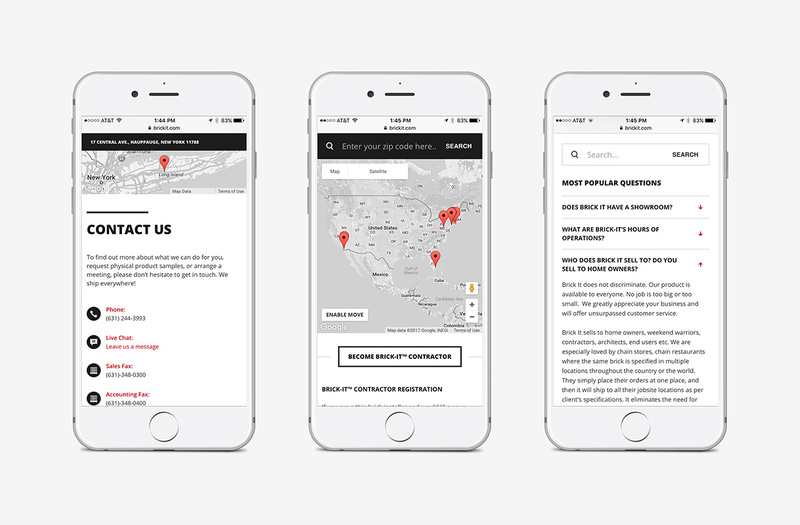 To add more depth to Brick It’s customer experience, we integrated an online sample shipping system and designed print materials such as brochuresand business cards. 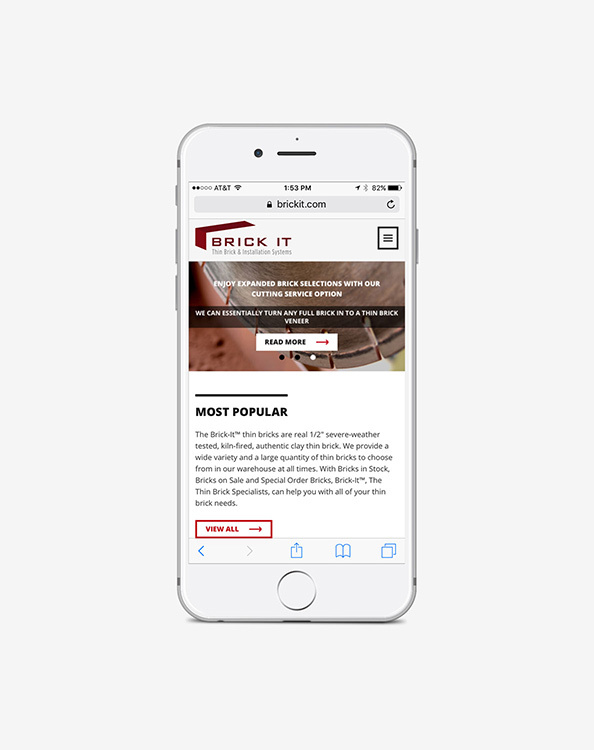 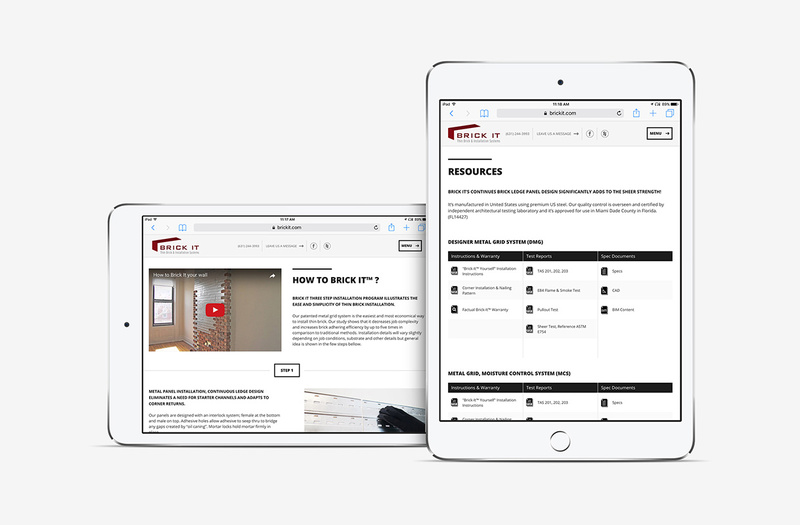 With an advanced custom CMS, Brick It was left with a website they could update and manage effortlessly.